As you may be able to tell from previous posts, I love a good deal. Lately I've really been into minimalist/Scandinavian design, which includes a lot of neutral colours, and clean lines. I love our local Dollarama for a lot of things, but home decor usually isn't one of them. I've been pleasantly surprised to find some great home decor items in the past couple of months that I wanted to share with you. 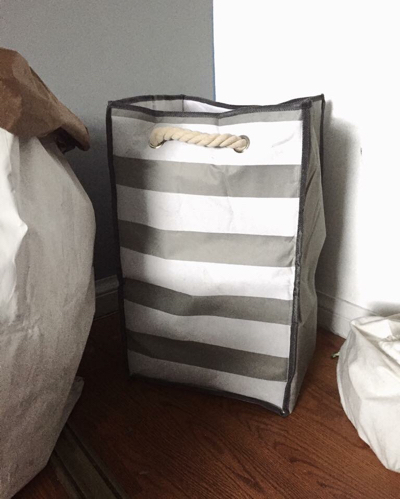 This striped clothes hamper. I saw it and immediately thought of Mason's room. It sits in the corner of his open closet, and I use it to hold his folded up blankets. He's still a blankie baby, so I love that he can grab one whenever he wants, and it's low enough for him to do that without asking me for help. This would also be really cute to hold toys, or for it's intended use as a clothes hamper. It was $4. 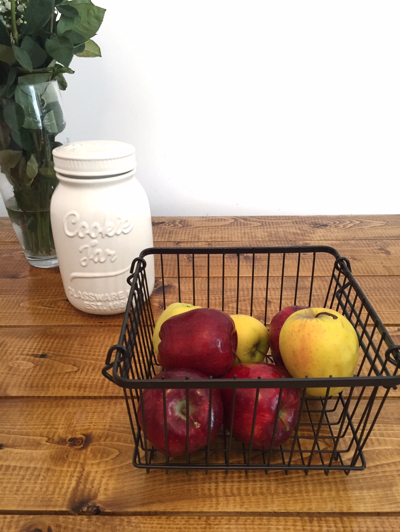 I loved this wire basket the moment I saw it. It reminded me of a much more expensive one I've seen online, and I've seen a lot of similar items on my favourite home decor blogs. I actually bought 2 of them. This one to use for fruit on our table, and another that sits on our kitchen counter holding my most used cleaning products. They were $4 each. 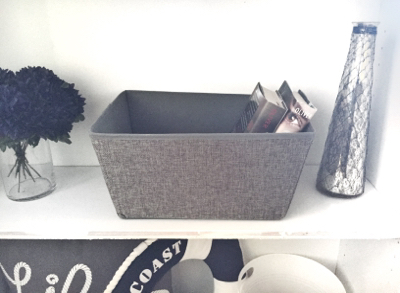 The next 2 items are really cute storage baskets I found for $3-$4 each. I love the grey fabric, and the size of them. I bought 2 of the rectangle ones for our bookshelf. They're perfect for books or to hide Mason's toys that might be laying around. I'm using the round one for Mitch's hats! He always throws his hats on top of our dresser, and I hate seeing them laying around. 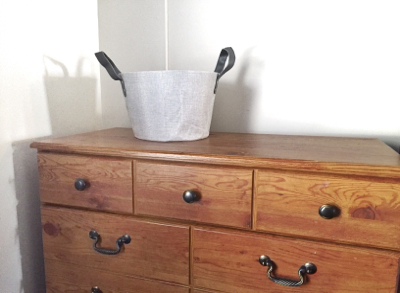 It just adds to the visual clutter in our room, which is why I didn't want a hat rack. This is the perfect size to hold several hats. This one is actually a DIY, but all of the supplies were purchased at the dollarstore. 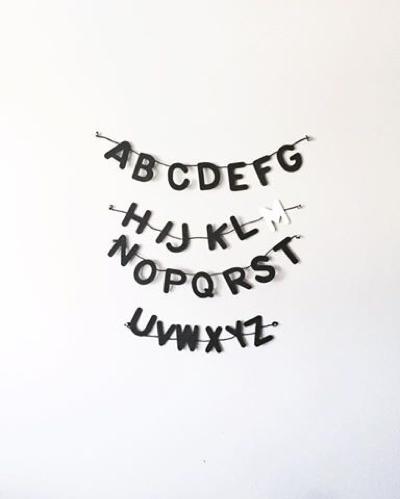 The total cost was around $6 for the wooden letters, paint and cord. I think my favourite find of all was this flower pot. 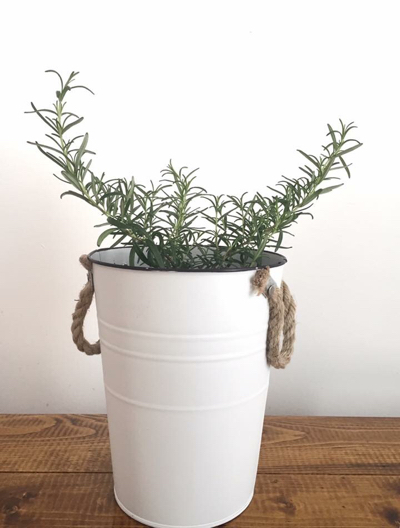 We used it to plant rosemary yesterday, which you'll see in my previous post. They don't usually have white ones like this, so I was really excited. I may go back and get a couple more. It was $4. My last favourite buy lately is these adorable fake succulents. I love real plants and have a lot of them, but I couldn't resist the look of these. 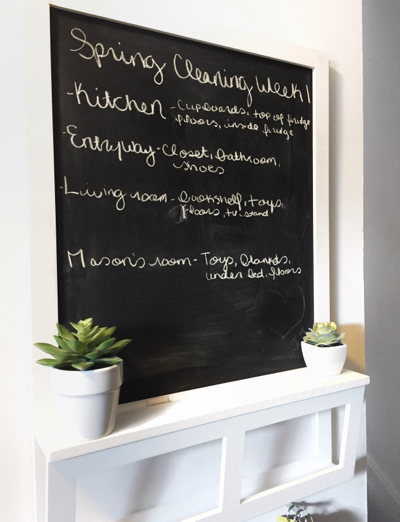 They look cute on our entry way board, and on our book shelf. What are you favorite things to buy at the dollarstore?